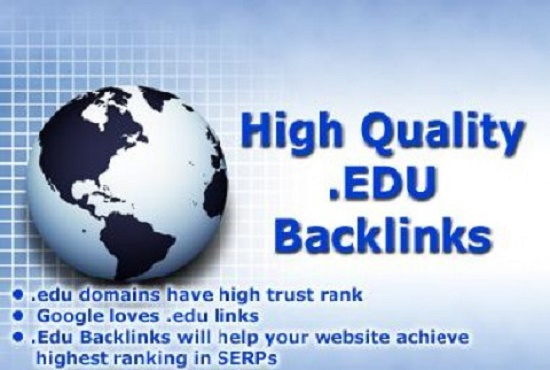 I will create 10 high authority, high PR backlinks from high authority .EDU domains. You cannot challenge the SEO worth of E DU and GOV back links, can you? Back lin ks from educational and government sites are the most valuable assets of a website because the .e du and .gov domains are not sold by any registrar on the internet. These are not common sites which everyone can make. So, search engines like Google, Bing, Yahoo! and others value back-links from .edu and .gov sites the most. Sometimes, your site can rank at first page of Google with only 1 back lin k from such a high authority site! Domain PR ranges from 9-2. All backlinks will stay almost permanently.